Not only is this a wonderful opportunity to share the historicity of the biblical worldview, apologetics and the areas of origins that I have covered for years, but it also allows us to partner with one of the BEST Bible Museums in the United States as well as the Sacred Arts Museum. The History Museum provides a brief snapshot of the history of creation and mankind and how the Bible fits into that as well as providing evidences (apologetics) for God's existence as well as why Christian theism and the Bible provide the most logical and plausible worldview of existence. *Many free items are always available to help "the believer think and the thinker to believe." 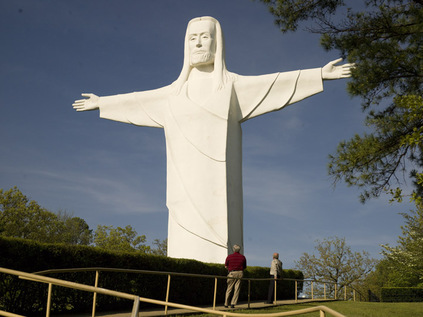 **Also there is a section on the history of the Passion Play itself. The Bible Museum is literally one of the best in the country based on the quality of their exhibits. A first edition King James in fantastic condition valued close to $500k, a $100k page of the Gutenberg, a hand-written Wycliffe page, etc. (in other words VERY hard to find items) - the Bible Museum has them all and a great staff (Bill and Leroy) prepared to walk you thru every detail of the English Bible. (Also a great book/video store to get yourself equipped to know more about our history as well as share it with others). Also a full-sized Tabernacle tour to really feel and see what the tabernacle and meeting place of God was like. Together these 3 museums not only give a powerful testimony to the truth of Christian theism but will help you to do the same (1 Peter 3:15). Please check back regularly and keep in your prayers as we still have to do some remodeling in order to be up and running by next Spring! 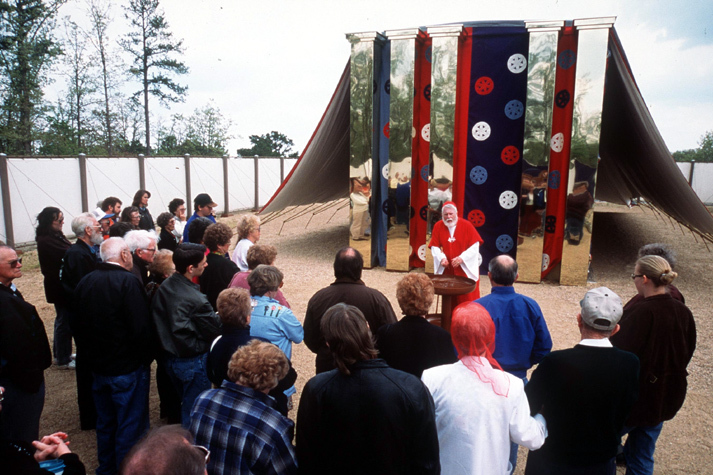 In the meantime, please visit the other two museums and make plans on attending the Passion Play - you will not be disappointed! We exist to invite all people to engage with the Bible (holistically). 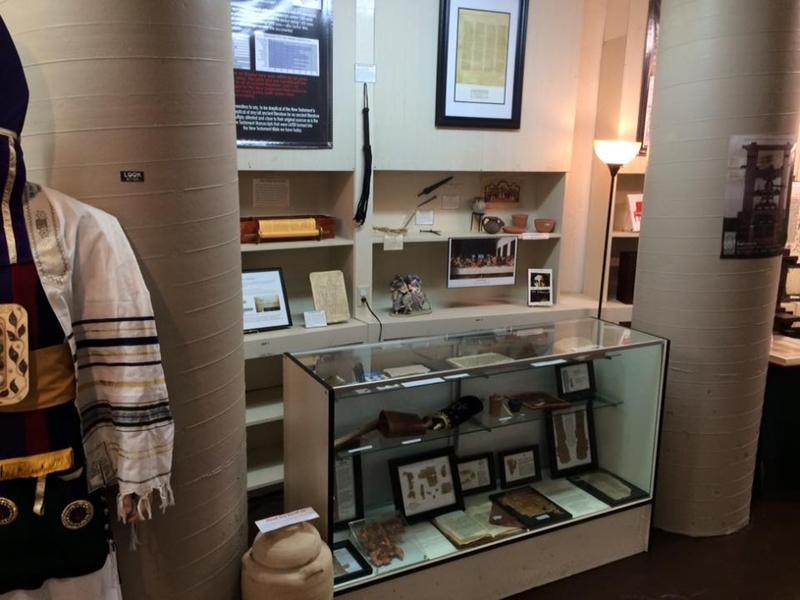 Our mission is in inviting biblical exploration through museum exhibits and scholarly pursuits that all can easily understand as well as helping the believer see why Christianity is true and share with others these truths. (In an ever-increasing hostile world to Christianity it will become increasingly important to know what Christianity is and why it is true - 1 Peter 3:15). 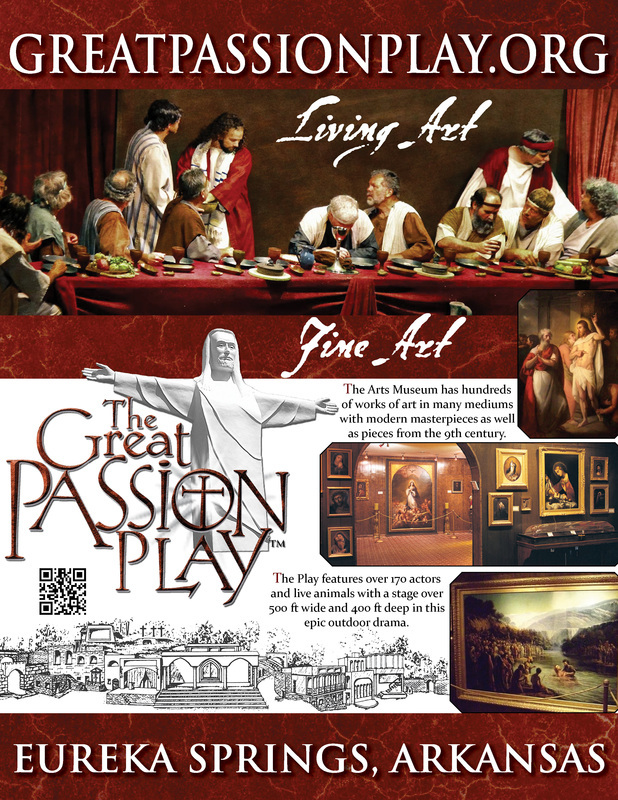 ​History and the Arts point cumulatively to the Cross and these 3 museums (centered upon the story of the Passion in the Great Play) work together to show just this. Christianity has the Truth so there is really no reason for not knowing more about this Truth and sharing it with others. 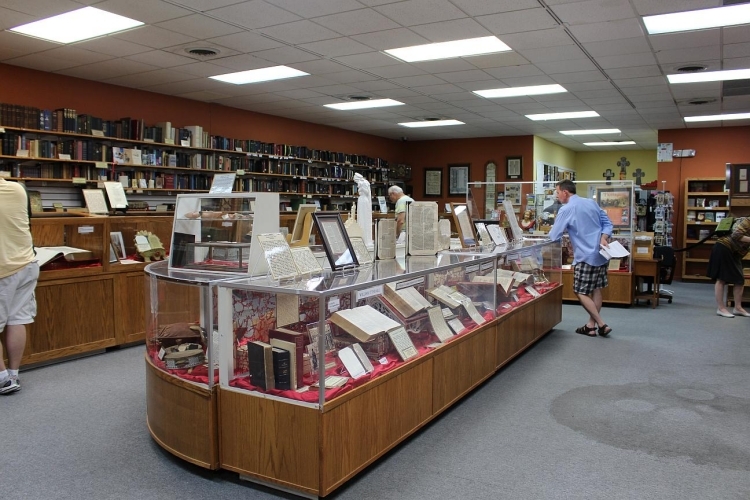 Our Bible Museum with tons of original copies and 1st editions of most every Bible. Bible Museum Eurkea Springs pictured above - where both my wife and I work with and help volunteer. Also we will also have (in the History museum) an entire time-line through the history of mankind as well as artifacts from various periods of time and replicas of history's most famous pieces including a 1/6 scale model of the famous Gutenberg Press, a large model of Noah's Ark constructed by hand by Christians from China and much more. Also we will (in the fashion of Francis Schaeffer) the Sacred Arts Museum has art pieces dating back to the 9th century thru the Renaissance, the Baroque period and all the way thru today showing how history and art are often times hand-in-hand together. Similarly we will have many pieces of film-history (tying in with the arts) that will include sandals worn in the epic Ben-Hur movie with Charlton Heston and much much more in the HIstory museum. For those who feel so inclined and led to support, either one time or monthly, feel free to follow the options below. 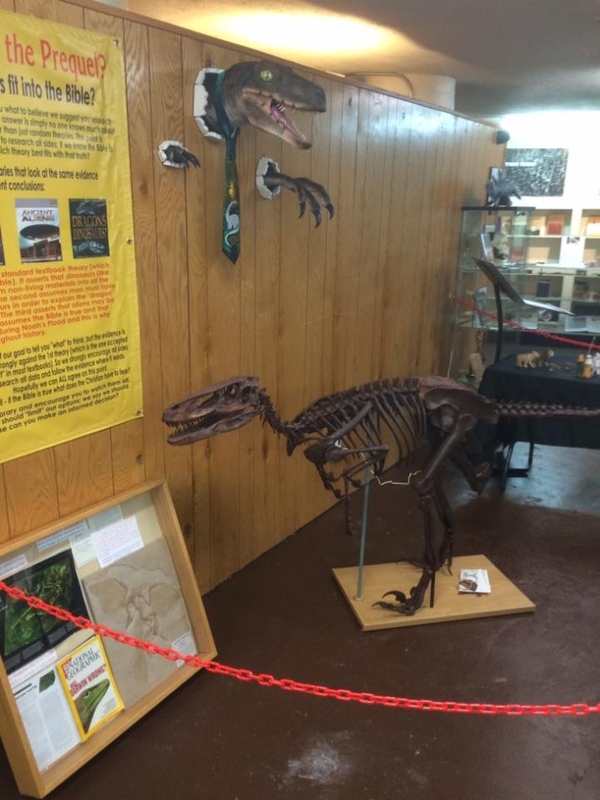 We are right now using money out of our savings to help rennovate this shop to the best of our ability and get much needed supplies and labor (and additional pieces) for the museum. We are perfectly okay using our own money while it lasts but if you would like to support it will be greatly appreciated.